There are THOUSANDS of articles and videos online that attempt to teach people how to cook with smoke. But you could spend countless hours sorting through it all, and still come out more confused than when you started. My name is Michael “Medium Rare” O’Donnell and for me, becoming a master smoker was a necessity. 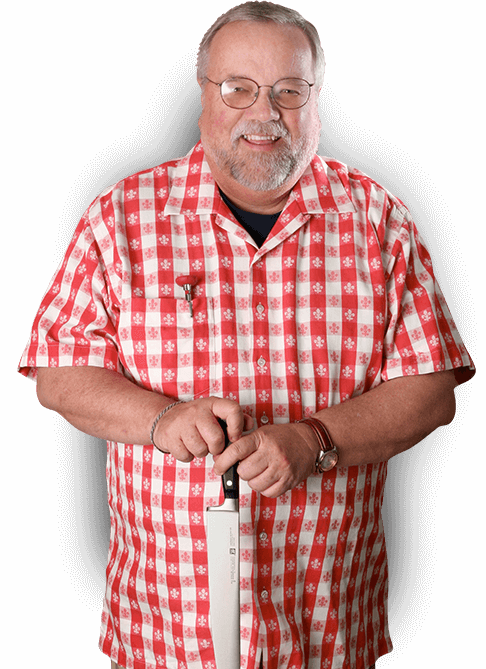 I’m the owner of Cave Tools, one of the most widely used and respected brands in Barbecue. I was expected to be a world class smoker. Some people are born into it, with generations of secrets and experience, and some have the luxury of a whole lot of time to learn. I had neither, So I did what everyone does..
One site told me to pair hickory wood with beef while another told me that hickory is way too strong and you should go with a more mild wood like pecan. I knew there had to be a better way to learn how to master this whole Smoking thing..
And then it hit me, Up until this point I was going it alone. See Barbecue is NOT an exact science. If I really wanted to learn, I needed to learn from someone who had truly seen it all when it comes to the art of smoking. Someone I could turn to when I wanted to get it RIGHT. See, I’m from Philadelphia and we’re not exactly known for our barbecue. So I decided that the best way to learn was to jump in my car and head down south to barbecue country. I would hit the barbecue competitions every weekend so I could learn first hand from some of the best pitmasters in the country. The people on the circuit are nice, Sure, But they are also there to win. Let’s just say getting the true masters at this to make time for some guy from the big city..
What I REALLY needed was to book a private lesson with an expert & make it worth his while.. Problem with private lessons though, was having to book months in advance and then pay anywhere from $500 all the way past $2400 for a weekend, not including your travel and accommodation costs. I don’t know about you, but for me that’s a LOT. What if I had a question a couple of weeks later when I was cooking on my own smoker, Or what if I missed or forgot some small detail? If I was going to spend that kind of money, I wanted to make sure that I learned from the absolute best barbecue master I could find. That’s Why I Reached Out To Rick Browne. 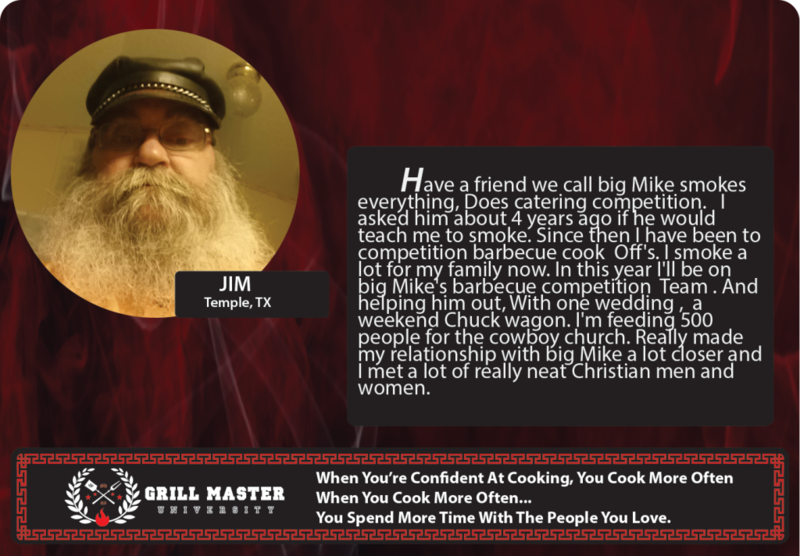 Rick is a world renowned Barbecue Pitmaster and the host of the Barbecue America TV show which ran for 7 seasons on more than 230 stations reaching 10s of millions of fans nationwide. 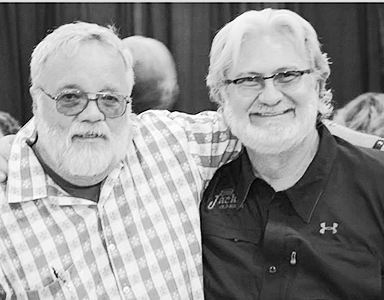 He’s also one of only 26 people in the world who has been awarded an honorary Ph.B (Doctor of Barbecue Philosophy) by the Kansas City Barbecue Society – the world’s largest barbecue association. On paper, Rick was probably the most qualified person in the entire world to teach me the art of smoking. On top of that, I came to learn he has lived one of the most interesting lives of anyone I ever met and that barbecue was something he only picked up later in life! 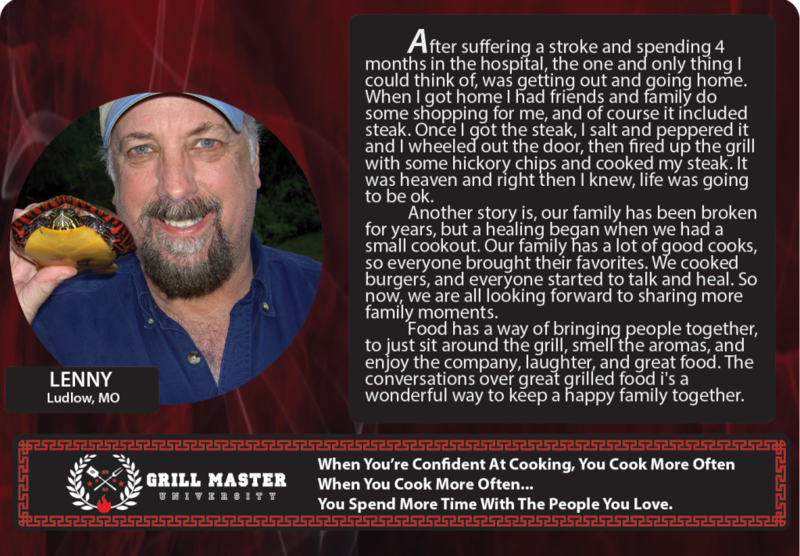 Before becoming a Pitmaster, Rick had led many lives as a chef, journalist, photojournalist, and an author. Rick told me tons of interesting stories about how he almost became the White House Photographer, how he broke multiple world records in aviation for the fastest times flying around the world, and his two year journey profiling 100 of the oldest historic eateries in the United States. Rick’s journeys had taken him to 47 states and 65 countries around the world. Along the way he also managed to write 16 best selling cookbooks on barbecue, grilling, outdoor deep frying, and smoking which went on to sell over 170,000 copies! 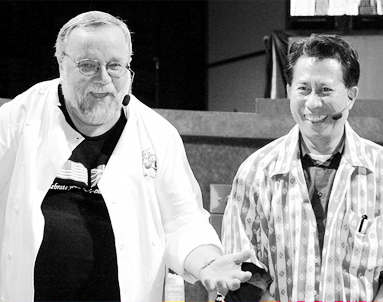 He’s actually shared the stage on multiple occasions with Anthony Bourdain and other five star chefs such as Martin Yan, Sarah Moulton, Chef Jet, and Wolfgang Puck. 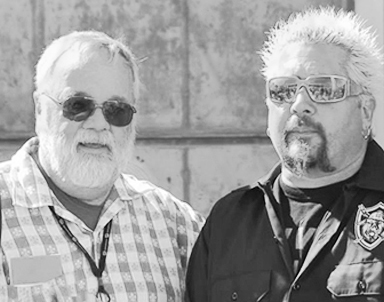 I knew that hiring Rick to be my mentor wasn’t going to be cheap, but how could I pass up the opportunity to learn from one of the foremost barbecue experts in the world? I told Rick all about my journey and struggles to master the art of smoking and he agreed to take me on. 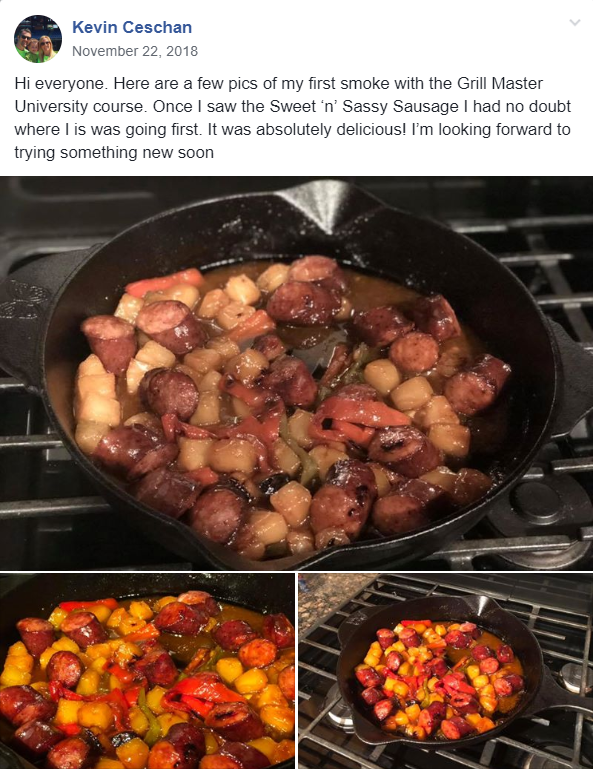 Because nobody should have to spend as much time and energy learning how to smoke delicious meals as I had, we should record EVERYTHING so we could help others! Sure he could continue charging upwards of $1,000 for live weekend classes and only serve a small wealthy group of people, but that wouldn’t have been in line with his mission of making a lasting impact on people like you and me. By recording all of Rick’s best secrets and techniques on video, we could reach tens of thousands of people all across the country. Together, we could bring Rick’s world class training to the common man and woman. What used to be reserved for serious competitors on “the circuit”, we could now teach to the average mom or dad looking to spruce up their neighborhood cookouts or the grandparents who want to make family get-togethers something special that all the kids would look forward to coming to. 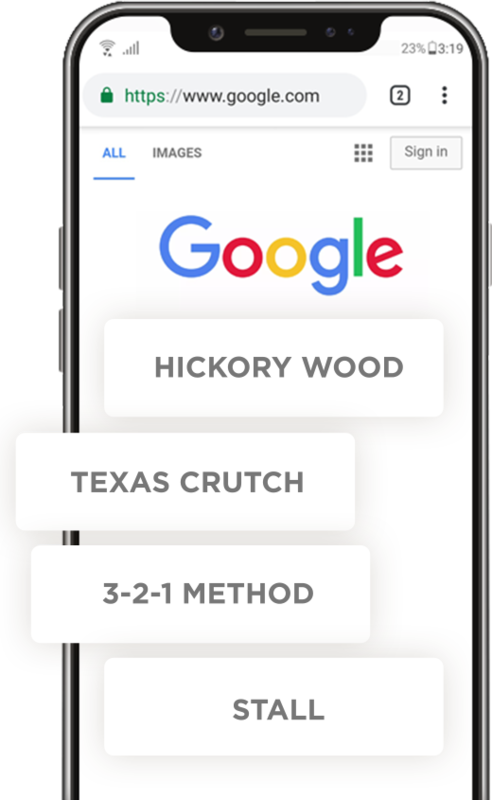 I wanted to make sure we had a Foolproof Formula that could take anyone from Beginner to Pro. One of the questions I always used to ask everyone on the Barbecue Trail was What was their Secret To Success? I wanted to know why some Pitmasters spent years competing before they won their first competition and others saw success within weeks. Everyone had their own story, but there was one common thread in every single response. I knew I was on to something when Rick told me he followed the exact same strategy to pick up barbecue later in life at the age of 52. 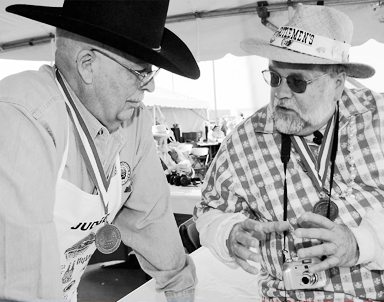 What set Rick and the other Barbecue Champions apart was their process of learning. It came down to 2 key things. The first: Every successful Barbecue Pitmaster keeps a journal. 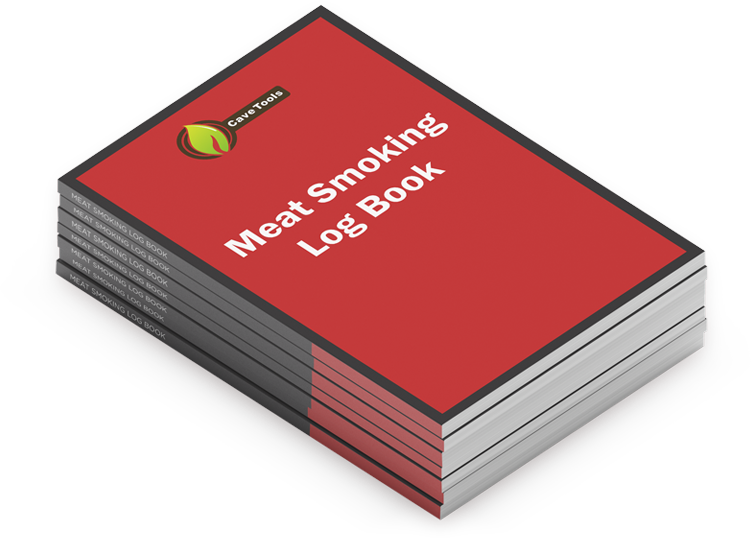 By logging all of the most important details from their meat smoking sessions including pictures and notes, they were able to look back on all of their recipes and improve for the next time. They knew what types of wood produced the best flavor for which recipes and they could recall at what times they added more charcoal to the smoker or basted their meat to keep it moist. 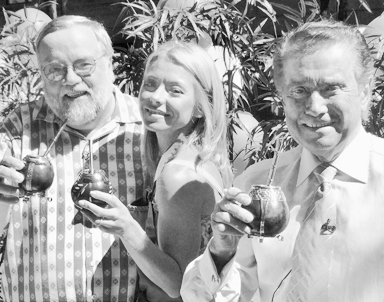 Their Barbecue Journal became their road map and allowed them to test one variable at a time until they could hone in on the perfect recipe. 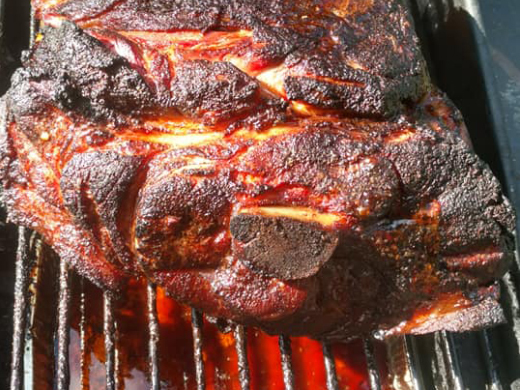 By using a Barbecue Journal, these Pitmasters were able to short cut their way to Meat Smoking Mastery and accelerate the learning process that otherwise would have taken years of experience to achieve. 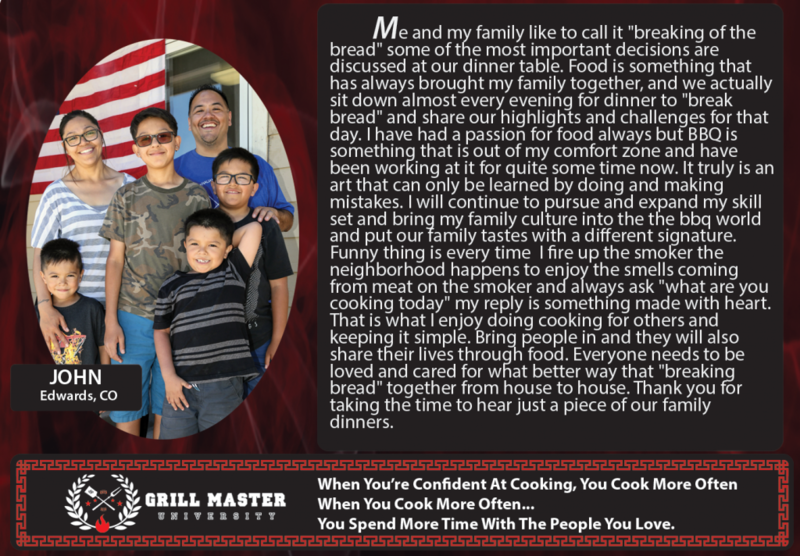 The second key to becoming a Grill Master was to surround yourself with a community of other like minded cooks. Sure, barbecue competition teams cook more than the rest of us, but one of the key reasons they become so good is because they are surrounded by other experts. Any time they have a question or need some help, they have people they can rely on to point them in the right direction. Better known as simply “The Family”. I could relate.. When I first started to learn the art of smoking I was alone. I never had the support of a Barbecue Family which is why all of the information I was learning wasn’t producing real results and delicious meals. 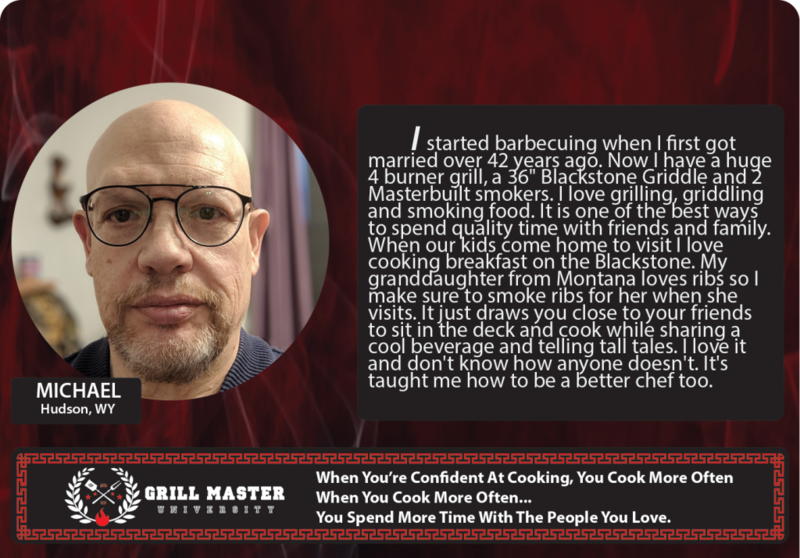 Now that I had cracked the code, I wanted to create an easier way for people like you and I to become Master Smokers and greatly improve the quality of our meals in a fraction of the time and money it took for just me to become the Master Smoker I am today. 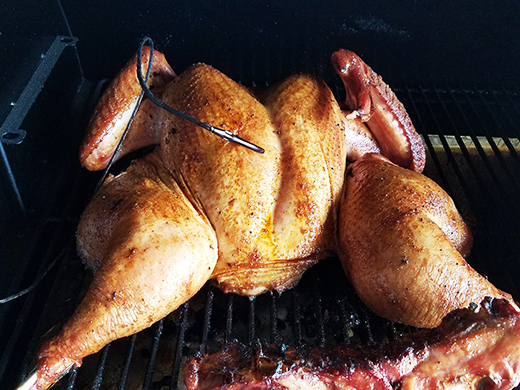 Cooking with Smoke 101 is an in depth online course that will teach you how to Master Your Smoker and cook delicious meals that are the envy of everyone you meet. 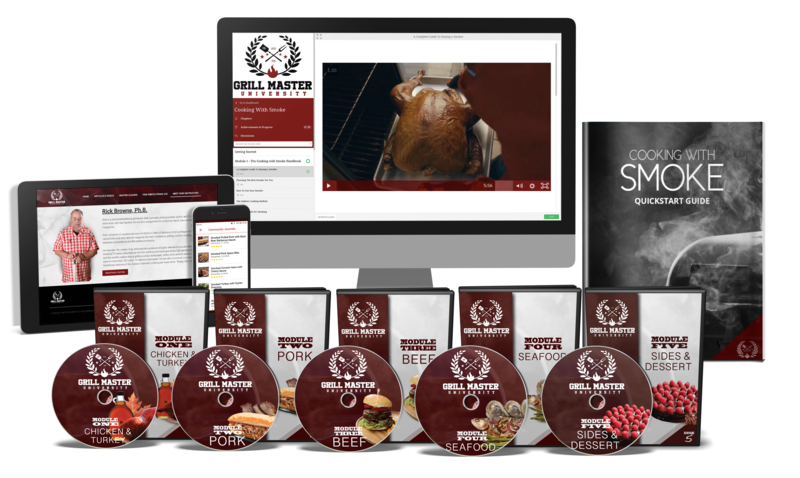 It includes everything that I’ve learned along the way to becoming a Master Smoker including our 100% Foolproof Formula for shortcutting your way to success in WEEKS instead of generations..
Rick Browne’s flagship smoker training course that he typically charges over $1,000 per person to teach. 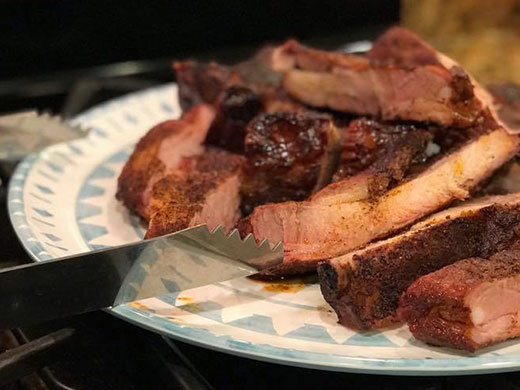 After completing this course you’ll be able to handle any recipe or food type on the smoker because you’ll have mastered all of the fundamental skill sets. "I just completed Cooking with Smoke! This was a really cool course and taught us a lot of things about smoking and grilling. It's more than just talking about ribs and pulled pork, we did all kinds of neat things. I made a meatloaf on the smoker and last night I did a chocolate cake with raspberries on top in the smoker. This course has been really great to give me the confidence to try those type of things. I've always been a cook and grilled most of my life but I never was a smoker. With the expert advice and recipes in here everybody can do it! " "I really enjoy this a lot. Rick did a really good job of explaining in his videos and he did a really good job of showing us different ways to do things. 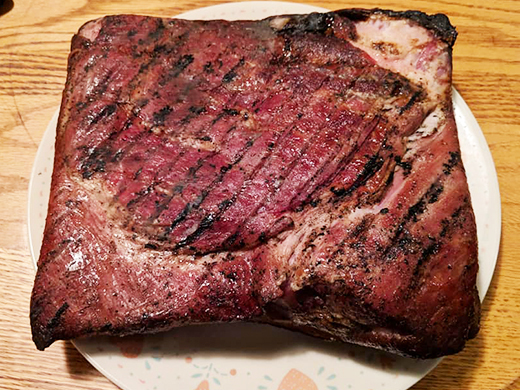 I've smoked a lot of meat over the years and I have been doing it for 4 or 5 years now. This gave me a lot of new things to think about and look at and I really enjoyed that. Reading the material and listening to the information he shares has really been beneficial and the recipes are awesome just so you know. If you have any questions about this then try it out and see what you think because it's worth it. I had a lot of fun looking at others people's stuff they did and trying new things for myself. 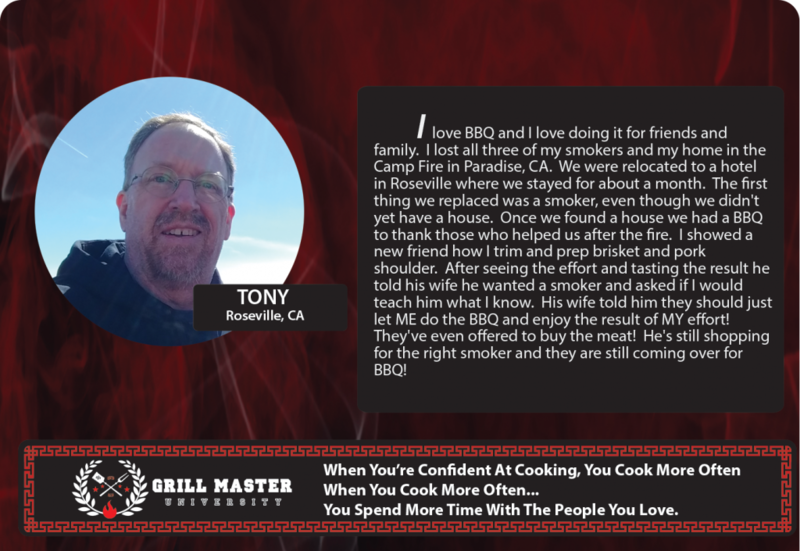 Enjoy it and learn, we can always learn more from our smoker friends!" "This is my first attempt to make bacon. My biggest issue is not having a slicer. Hard to cut the pieces thin. But, it's bacon!" “I'm Mark, I cook outdoors 3 to 4 days a week, kind of addicted, you know how it is 🙂 In the last year I started writing a lot about outdoor cooking so wanted to check out the course. "Glad to be apart of this group. I have been smoking for about 2 years with a Traeger Jr my brother-in-law gave me. Wanting to take it to the next step, so I am taking the course. Cant wait to learn more and more. At 67 you can learn more new tricks." 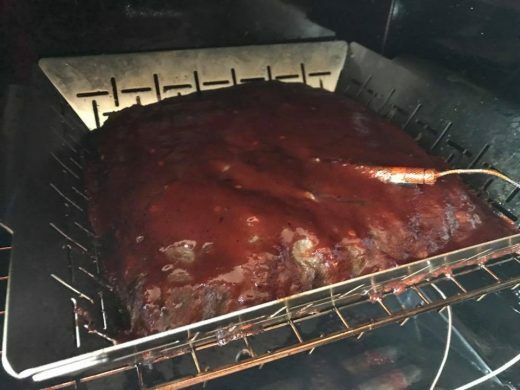 "My wife got me a smoker for my birthday so I decided to try the smoked pork spare ribs. This was my first time every trying to smoke anything! All in all, I was happy with how they turned out. The flavor was great. I have a lot to learn but I can’t wait to try something new this weekend." "Some mighty tasty jamaican jerk chicken with roasted veggies for supper tonight!!!" "Salmon from the class. Delicious with rice and spinach." 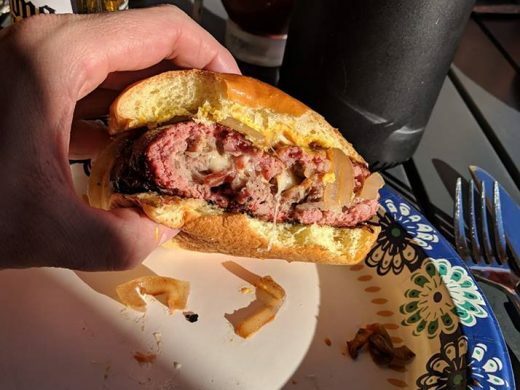 "Stuffed smoked burgers with Balsalmic onions... Rave reviews from visiting family!!!" "Smoked meat loaf, stuffed with jalapeño cheddar-jack." Who Is Cooking With Smoke For? What If I Don't Own A Smoker Yet? The skills we are going to teach you can even be used on a gas grill with a smoker box. 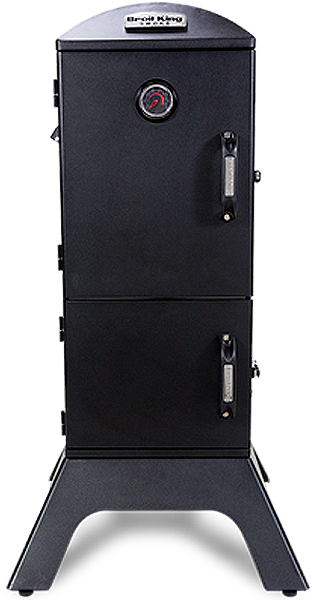 When you’re ready, we also provide detailed guidance on how to purchase the best smoker for your situation. 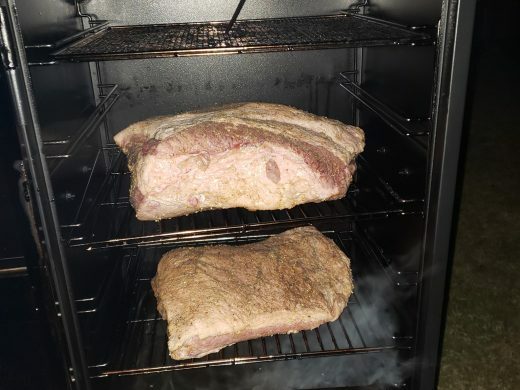 What If My Smoker Is Different Than The Smoker Used In The Training? All smoker models follow the same basic principles. Throughout this course you will master the fundamental skill sets that can be applied to any type of smoker. Is It Really Possible To Learn Online Without an In Person Instructor? Live classes go fast and must follow the pace of the group. If you have a question later, it’s not like you can retake the course for free. With an online format you can learn at your own pace, review the material any time you want, and you have ongoing support if you need help or have questions. It’s best to start with an online masterclass and then pursue a live class later if you would like to further develop your skill sets. I've Never Been Good at Cooking, Will This Work For Me? Meat smoking is a learnable skill just like anything else. If you have failed in the past, it’s not your fault. Without the proper instruction it can be difficult to build confidence. We offer a structured learning process with proven results and we’re with you every step of the way. I'm Very Busy, How Much Time Will This Take? You can go through the course at your own pace and you have lifetime access so you can review any time you want. Smoking is a skill that you will carry with you for the rest of your life. 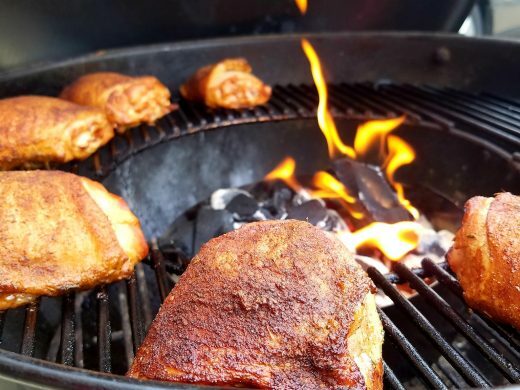 If you don’t start now then you’re going to miss out on all of the amazing memories that come every time you sit down with your friends and family to enjoy a smoked meal that you cooked. 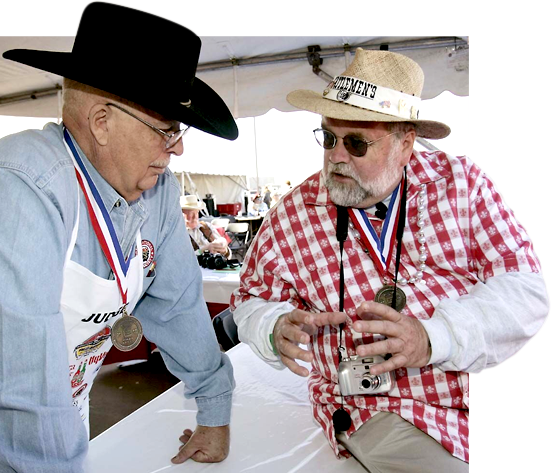 Follow the exact learning process used by champion barbecue pitmasters. 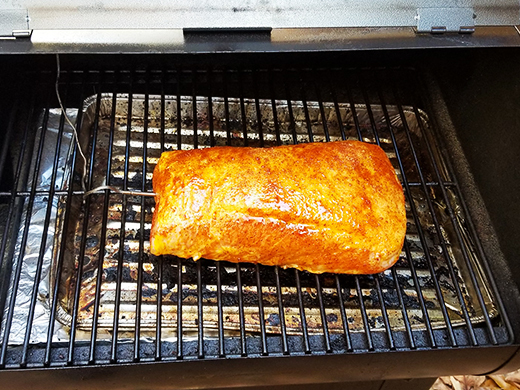 If a recipe shows you the step-by-step directions for preparing food, then your smoking journal shows the step-by-step directions for every action taken on the smoker. 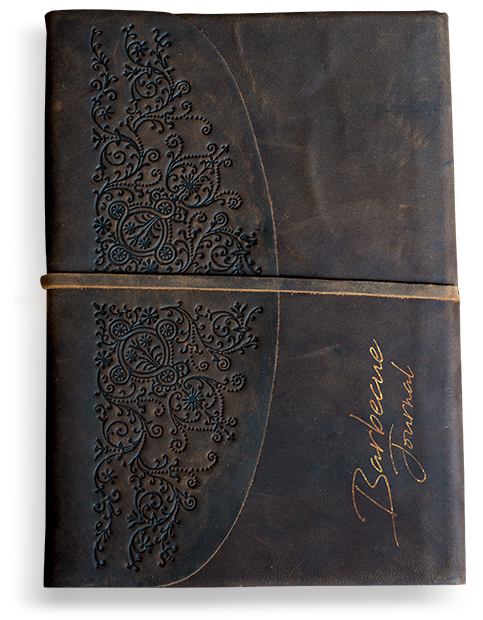 Your new journal will become an invaluable resource that will help short cut your way to meat smoking success! 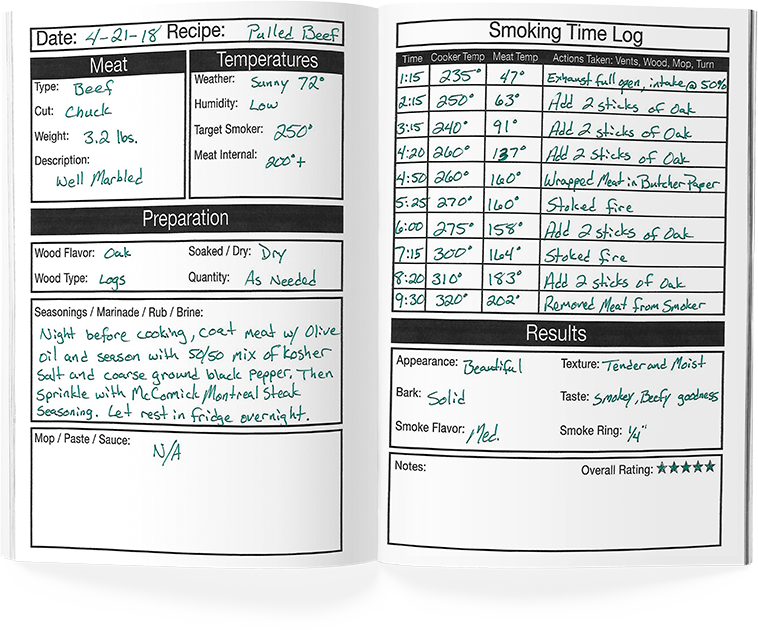 When you have Rick’s journals, you’ll be able to follow along the exact same steps he took to smoke each recipe. This will remove any doubts about when to add more wood or when to open and close your vents and any other questions that might pop up while you’re smoking. Google and Youtube provide conflicting information depending on who is giving the advice and what part of the country they’re from. 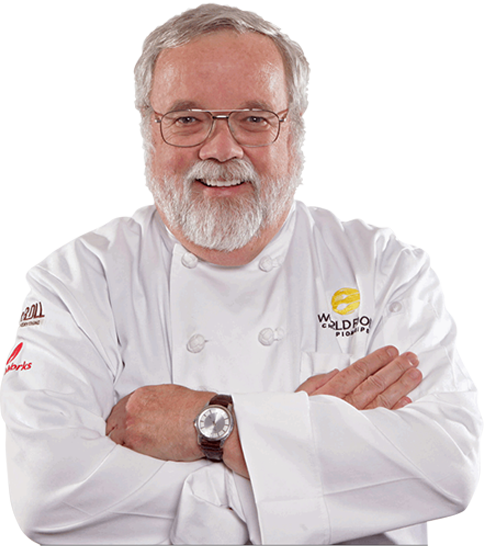 Rick sets the record straight in the Cooking with Smoke Handbook so all of the information you need is in one place. You’ll build a solid foundation of knowledge that will allow you to master your smoker faster and easier than before. 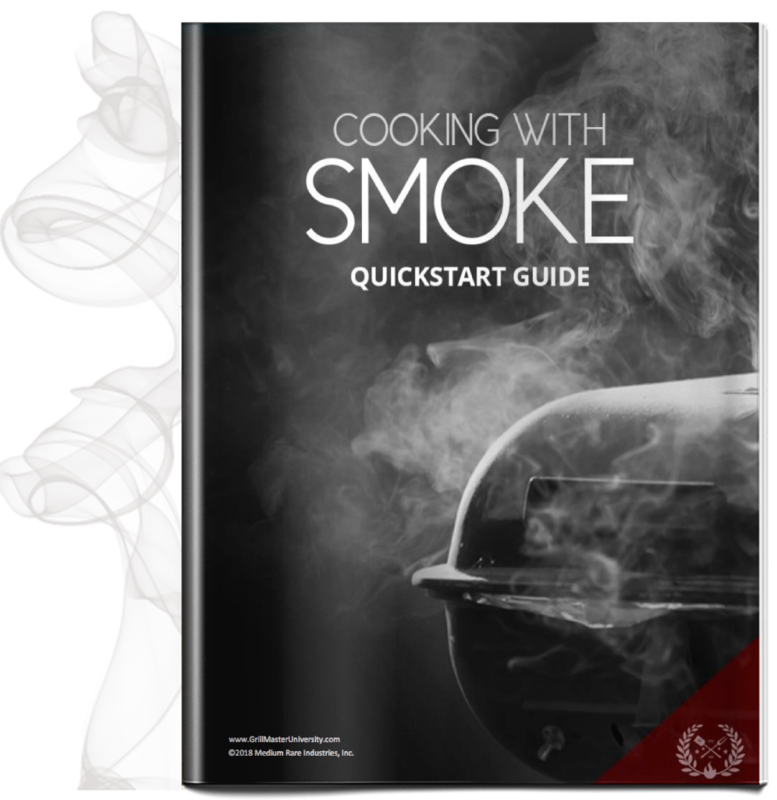 The handbook is a valuable resource regardless of your skill level because it includes the advice and recommendations that Rick has learned over his entire career smoking meat. It’s not every day you get the exact playbook used by someone with a Doctorate of Barbecue Philosophy! 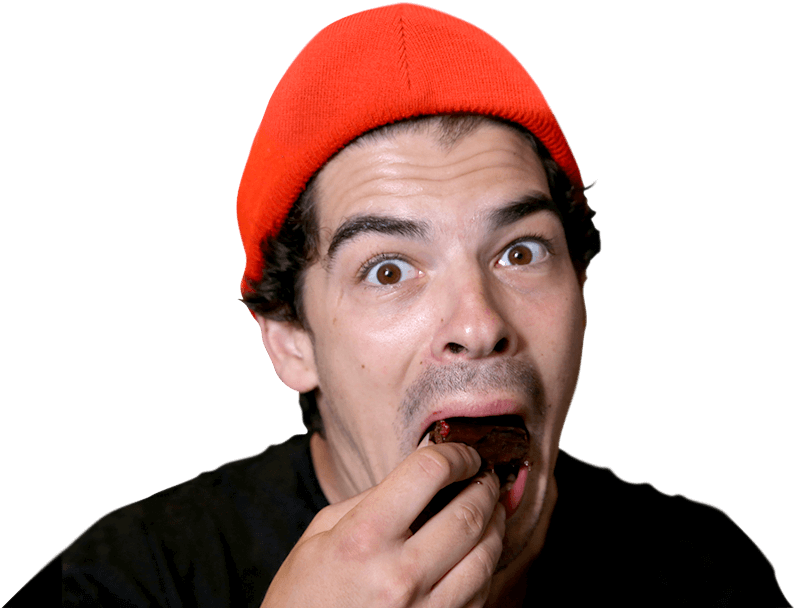 Have you ever been smoking before and wondered what the best type of wood was to pair with your food? Or what the target temperature of your smoker should be? 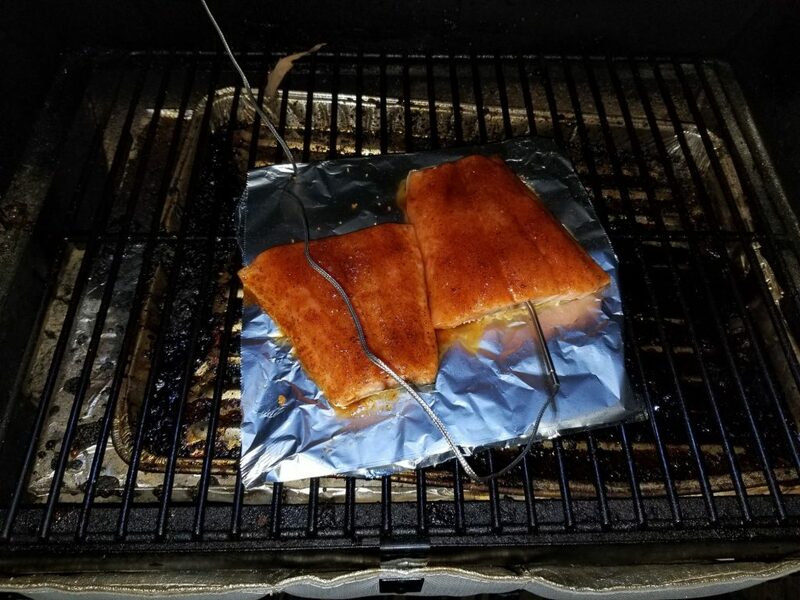 Well you won’t have to anymore because this magnetic guide sticks right onto your smoker so you always have all the information you need available to you when you’re cooking. 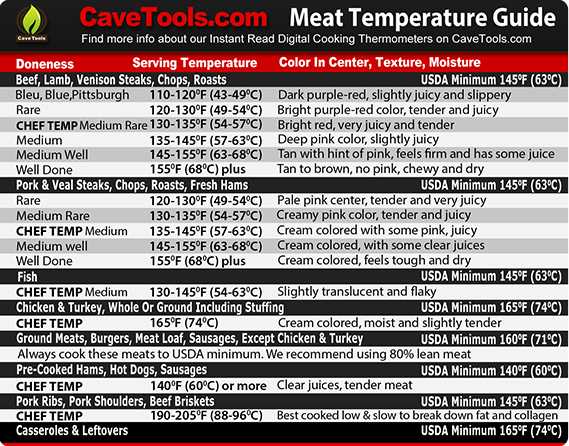 This meat temperature magnet includes internal meat temperature recommendations for all of your cooking needs in the kitchen. 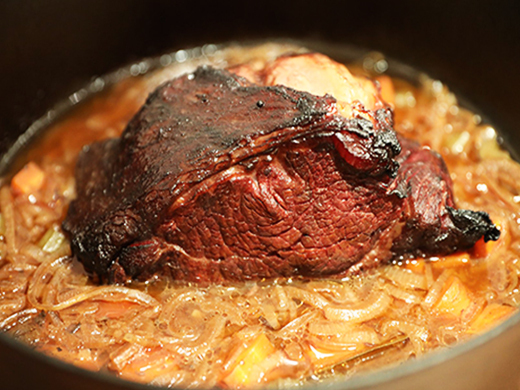 Never overcook a meal again or overshoot that perfect medium rare! 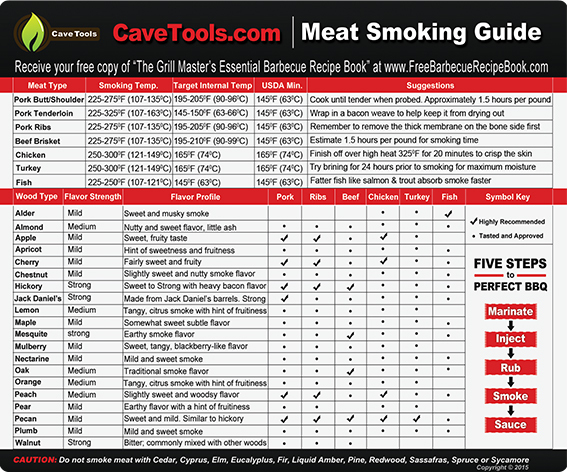 Reinforced with 25% thicker stainless steel, the Cave Tools smoker box has been a best seller for over 4 years. If you’re worried about equipment or don’t have a smoker yet we’ll give you a smoker box so you can get started. 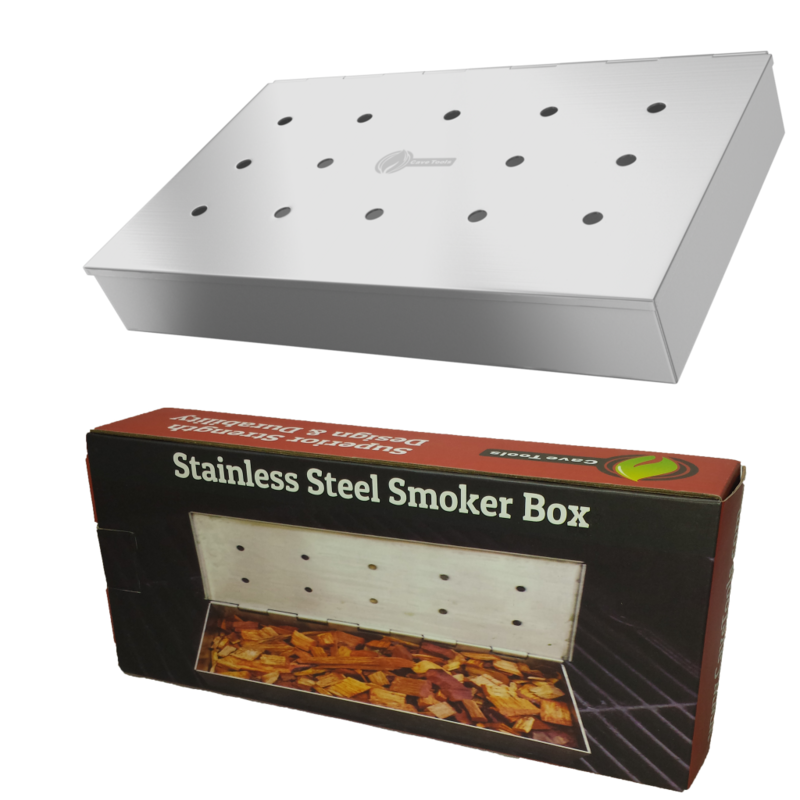 Whether you’re using a gas grill or an expensive smoker, this smoker box will allow your wood chips to smolder instead of burn up right away. Get more bang for your buck when it comes to wood chips! 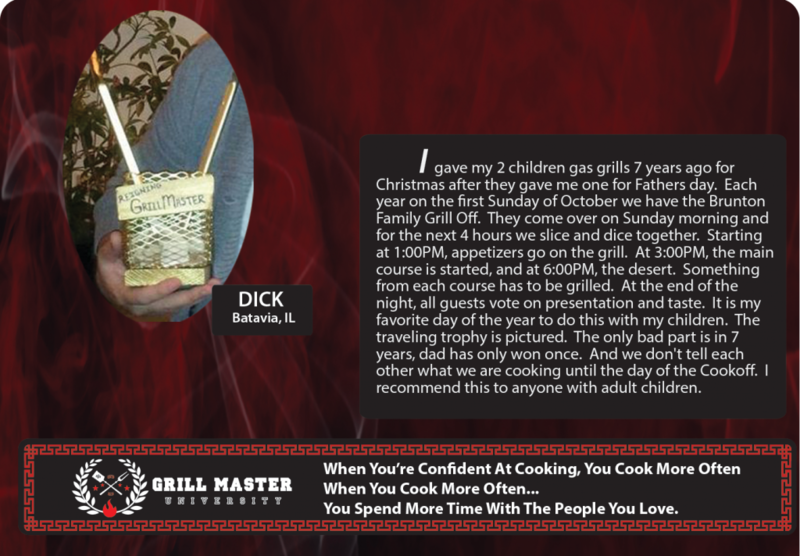 This private Grill Master Family members only facebook group provides ongoing support from your peers and instructors. Imagine What It Would Be Like To Have Access To Not 1 But 100’s of Mentors? That reminds me, Let’s talk about the Guarantee. I’m happy about all that time I got to spend down south when it comes to this part, See, in the south, a guy just doesn’t mess around when it comes to backing up what he says. Rest easy friend, If you are unhappy for ANY reason whatsoever. 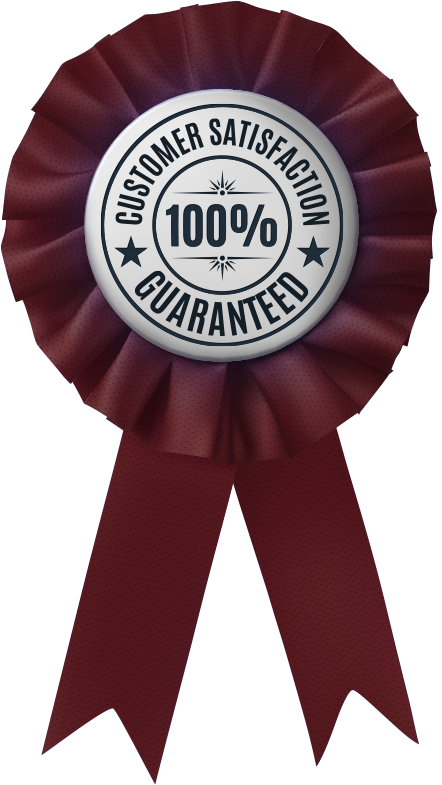 (And I do mean ANYTHING) just let me know, and I will give you a 100% full refund just for asking anytime during your first 30 days. No strings, no “gotchas”, No kidding. It’s just the right way to do business. 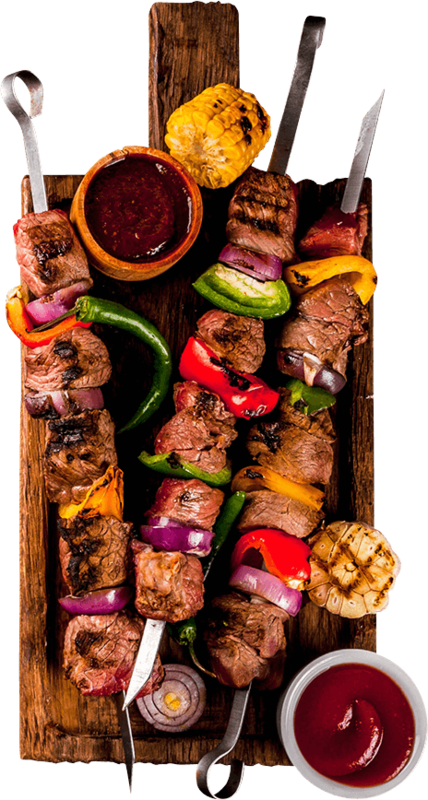 Even though it looks like a few people have forgotten that here on the web..
Barbecue will help you form deeper more meaningful relationships in your life and you’ll create new memories every time you sit down to a meal with your family and friends. Turn left, and nothing happens. You have the same future as you do past. Your cookouts will remain just like they are now with family and friends doing everything in their power to avoid get togethers where you’re responsible for the meals. That left turn means you LITERALLY decide to accept your lot as a subpar smoker… which I strongly urge you to reconsider. But I’m guessing you’re smarter than that. 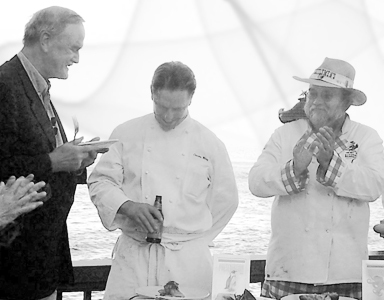 You care enough about your family memories, your cooking legacy, and the tastebuds of your guests… to choose change. It’s just a few bucks out of your pocket and you’ll get access to some of the world’s best kept meat cooking secrets, to impress EVERYONE by channeling Rick Browne’s expert cooking with each meal you serve. 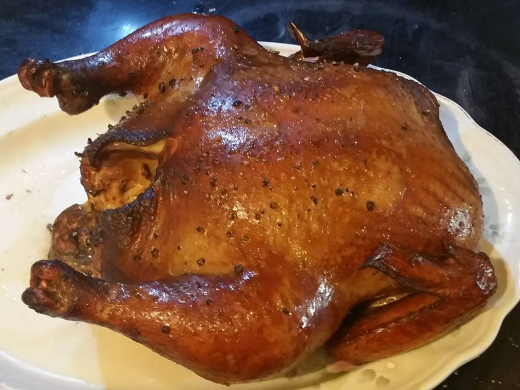 Literally, you get the ability to master your smoker for less than the cost of dinner. From where I stand It’s kind of a no brainer, which is my intention here. Yeah, here’s the button. You know what to do. © 2018 GRILL MASTER UNIVERSITY. ALL RIGHTS RESERVED.